Valentine’s Day is one day each year that is quite literally designated to telling your loved ones that you appreciate them — through flowers, through heart-shaped boxes of chocolate and, most importantly, through genuine sentimentality. For some of our favorite queens — like Drag Race All Stars Season 2 winner and all-around goddess Alaska Thunderfuck — those ‘loved ones’ comprise quite a few people, so what better way to reach them all than through a public Alaska love letter? In the Alaska love letter below — composed by one of our favorite queens in time for V-Day and sent to us here at Hornet — she proclaims appreciation for those who have lifted her up over the years and supported her efforts in doing what she loves most: performing for all of us. “You are all my Valentines,” Alaska says. To my dear fans, followers and friends … I thank you. To my subscribers, supporters and screen-grabbers … I see you. To the letter-writers and the fan art drawers … I feel you. To the kids who wait in line and the kids who wait outside because they’re not old enough to get in … I respect you. And to the ones who got my face tattooed onto their bodies … I guess we’ll be together forever. Thank you all for believing in a dreamer’s dream and turning it into something real. The truth is, this is my life’s work, and I would still be doing it even if no one was listening. But to all of you who are listening, you’ve made this journey so special, so alive, so unique and so rare, and for that you are all my Valentines. Heart emoji, heart emoji, heart emoji. 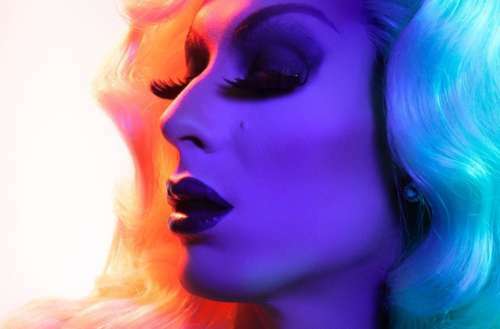 What do you think of this Alaska love letter to her fans? Sound off in the comments below!